The bank yesterday released its flagship annual economic publication, Asian Development Bank Outlook, highlighting the economic performance of developing Asian countries including Laos. “The Lao PDR will continue to see solid growth in the next few years, building on the achievements of the last five years or so,” ADB Country Director Mr Chong Chi Nai said as quoted in a press release from the bank yesterday. According to the publication, the substantial investment flowing into hydropower and mining, coupled with the construction of hotels, offices and residential buildings, will drive this growth. Hydropower plants completed last year will contribute an expected 12 percent increase in power generation in 2013. Agriculture, which employs over 60 percent of the workforce, is expected to grow at a fast pace this year, as rice production recovers and animal husbandry continues to expand. Tourist arrivals are projected to grow by 10-15 percent. “The outlook for the Lao economy in 2013 is strong, as we see the economy starting a gradual diversification from its overdependence on the natural resources sector,” Mr Chong said. The ADB projects stronger economic activity in the Asian region to spur renewed price pressures, with inflation seen moving up from 3.7 percent in 2012 to 4.0 percent in 2013 and 4.2 percent in 2014. 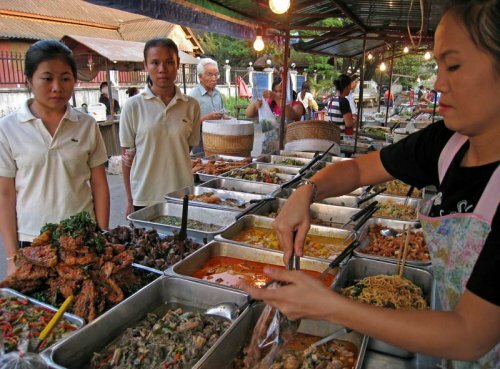 In Laos, a benign 5.5 percent inflation is forecast for 2013. Price pressures remain manageable for now, but will need to be monitored closely, especially as strong capital inflows raise the spectre of potential asset market bubbles. Southeast Asia was the only sub-region to see growth accelera te year-on-year in 2012, led by a recovery in Thailand and strong public spending in the Philippines. This buoyancy is set to continue on the back of robust consumption, rising investment and increased intraregional trade, with GDP growt h projected at 5.4 percent in 2013 and 5.7 percent in 2014. The impending startup of the ASEAN Economic Community in 2015 will enlarge trade volumes within this bloc of dynamic economies, helping to diversify export markets, the report says.